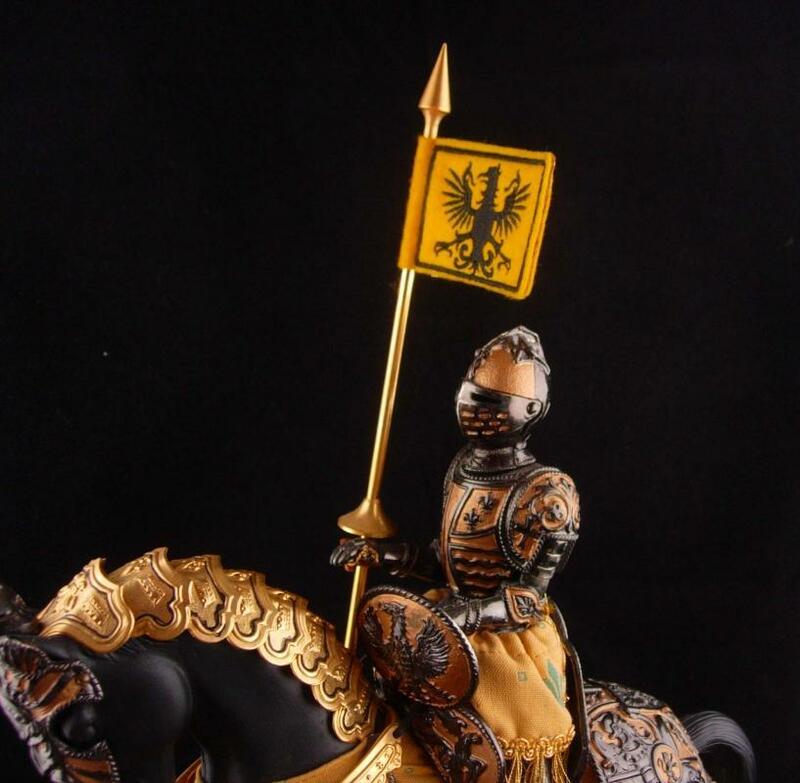 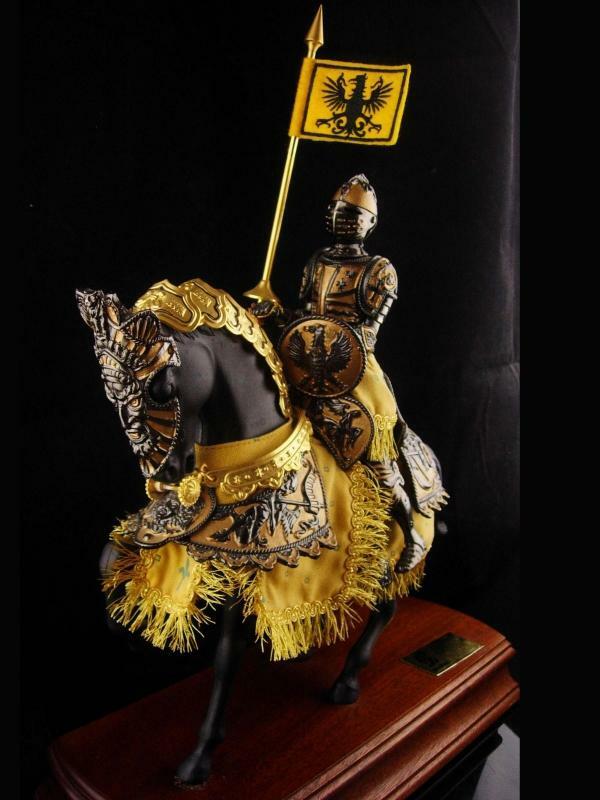 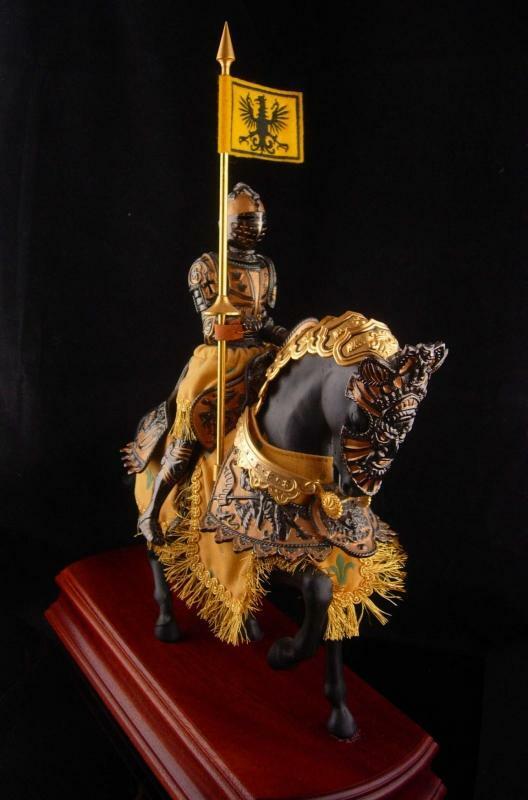 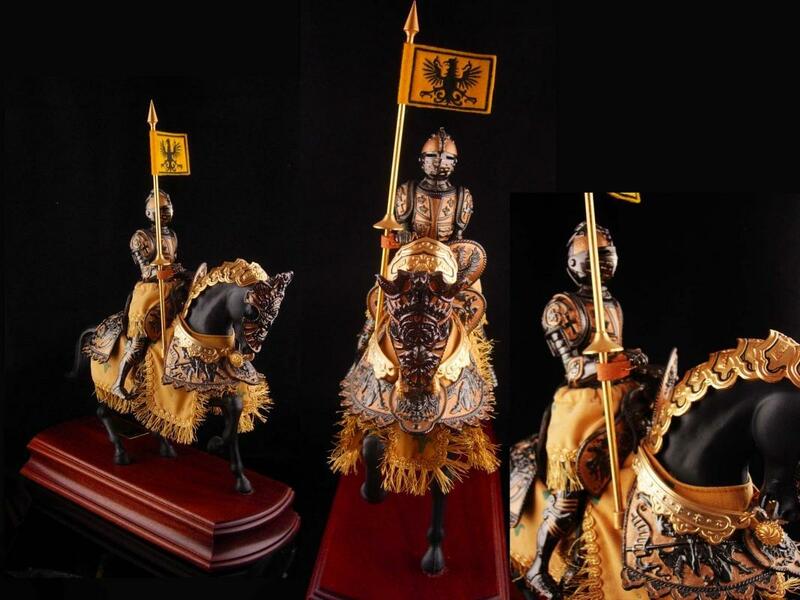 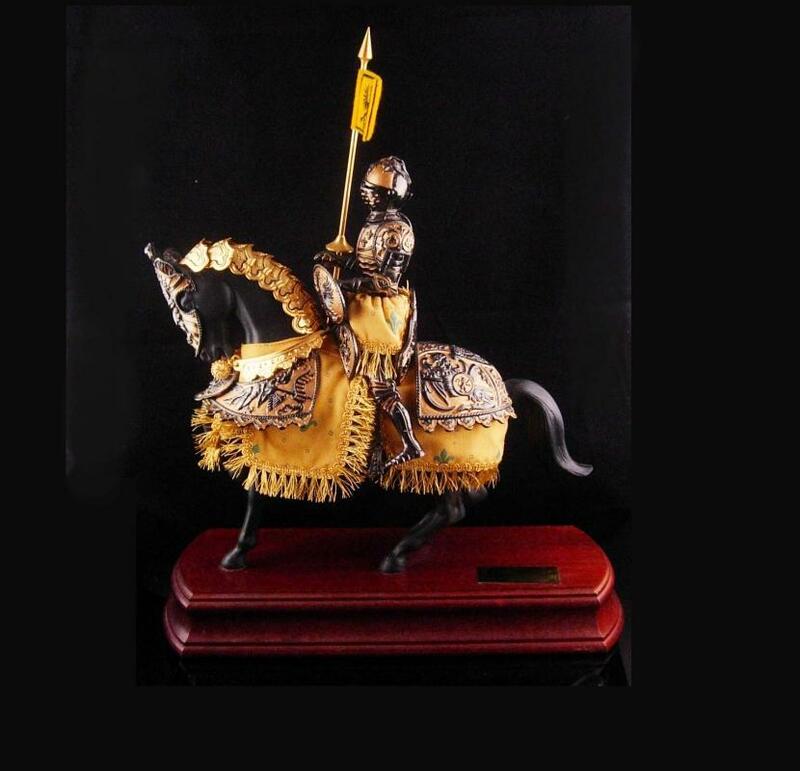 THis highly detailed replica knight on his extraordinary horse measures 13" long x 19" tall ( includes the flag) . 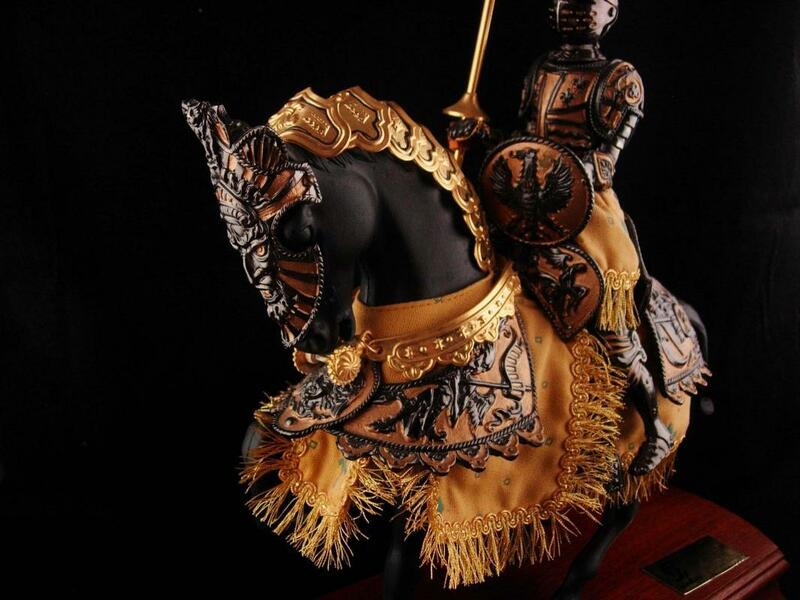 There is so much work that went into making this piece. 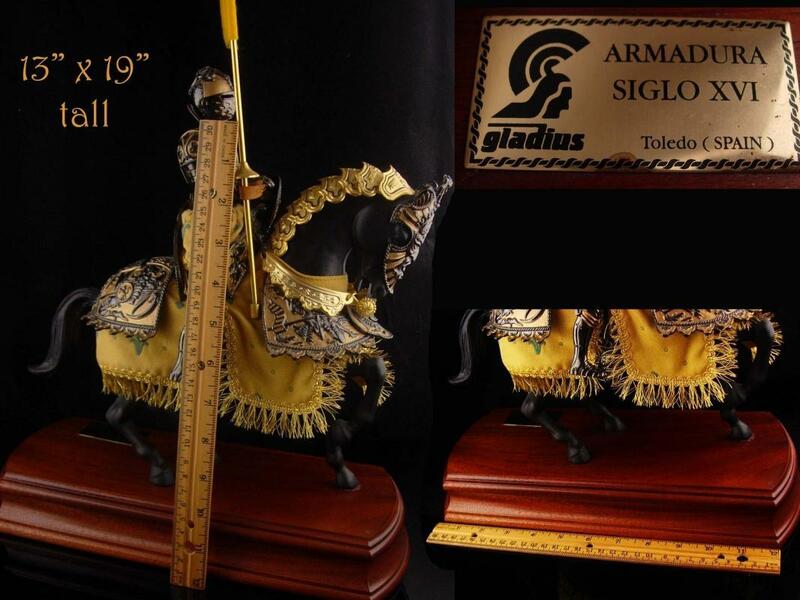 A great gift for your favorite gent!